Cameron Builders (Newcastle) Limited has a well established history of delivering high quality work for a range of Local Authorities, Social Housing Organisations and private individuals. Over the 40 year history of the company we have developed a significant client base that regularly reappoint Cameron Builders, confident that they will get a competitive and high quality project. 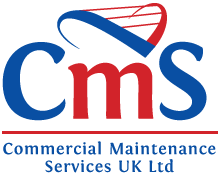 CMS are an established commercial building maintenance and supply company serving Newcastle, Leeds and the entire North East of England. This solution includes all aspects of service, supply, breakdown coverage and preventative maintenance contracts on all aspects of gas works and pipe work, commercial catering equipment, commercial refrigeration and ware wash equipment, air conditioning and central heating appliances, commercial laundry and all plumbing and electrical services and building works.